We are very happy that you have selected A Place To Grow Too’s web site to learn more about how we educate and care for our children's well being.We are a child daycare and learning facility that offers a safe, loving, nurturing and family-friendly environment for all of our children enrolled. A Place To Grow Too strongly believes that compassion and encouragement play a big deal in creating a productive and healthy learning atmosphere, and we are very proud to offer that and much more for your family. We provide great educational and fun activities held by our fully experienced, and certified/degreed teachers. We are in hopes that you will find our site very informational and interesting, and that you will call the center nearest you for a tour with one of our friendly and qualified Directors. We are certain that you will be both, informed and impressed with the quality care our centers can provide for your children. 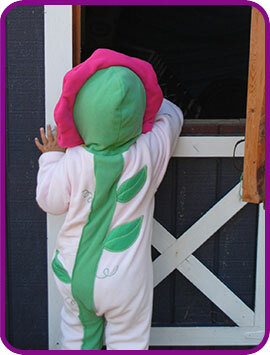 A Place To Grow Too Daycare and Learning Centers are based upon the principles of developmentally appropriate practice. Our goal is to give each child a warm environment that encourages the development of socialization skills, independence, and a positive self-image. Our experienced teaching staff embraces the view that each child is a unique person with an individual pattern and timing of social, physical, and intellectual development. Teachers manifest their respect for children by encouraging them to think for themselves, to make decisions, to work towards their own solutions, and express their own ideas and feelings. We recognize and foster an active partnership between home and school. A Place To Grow Too Daycare and Learning Centers are guided by the principle of developmentally appropriate practice. Our staff embraces the view that each child is a unique person with an individual pattern and timing of social, emotional, physical, and intellectual development. Our program offers a "hands on" approach to learning. This style of Early Childhood Education is designed to foster creativity and expanded self-expression. A Place To Grow Too teachers manifest their respect for children by encouraging them to think for themselves, make decisions, work toward their own solutions, and express their own ideas and feelings. A Place To Grow Too embraces the belief that parents are the first and most important teachers of their children. Parents are encouraged to participate in a variety of center activities, including birthday and holiday celebrations, walking trips, field trips, and social activities. Parents are welcome visitors in the classroom at all times.